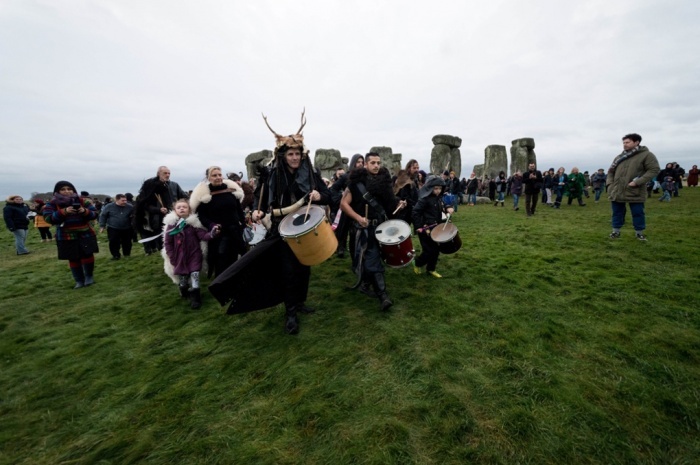 Stonehenge, Dancing With the Druids At Sunrise! 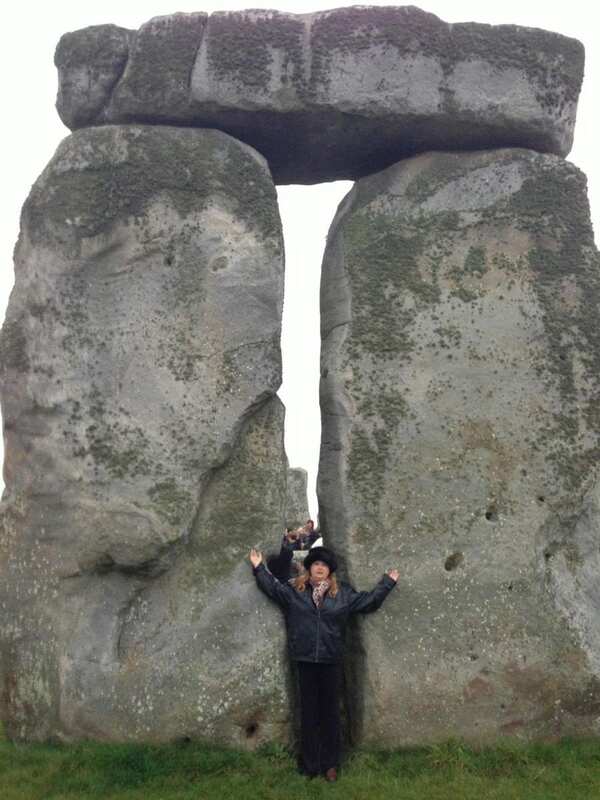 Fact: you can only touch the stones at Stonehenge 4x per year! Normally there is a rope holding you a football field away as the site is now run by the Historical Society and there are rules in place. No more just showing up. And you have to park far far away and take buses into the site now. Very Disneylandish. As we started our England adventure flying to Philadelphia, we were bumped from our flight and flew in late, arriving around 9pm when we were suppose to have arrived at 12pm the day before! 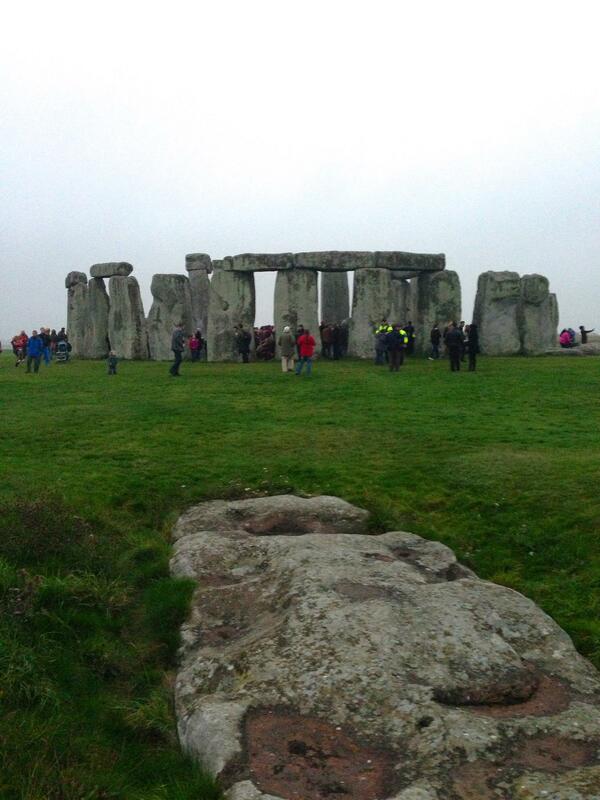 We got our rental car and headed to Salisbury which is closest town to the stones, About 1.5hrs away from Heathrow. We couldn’t just show up at our B&B at midnight, so we decided to go on to the Stones and sleep in our car! Having no idea if you could actually do that, if it was legal or what, but we didn’t have a choice really so off we went. Darren driving a car on the right side steering wheel on the Left side of the road for the Very First Time! pitch black, 10pm at night with SatNav telling us how to get there! Its a wonder we didn’t wreck or die! Arrived at midnight and managed to find the entrance in the pitch black dark and pulled right up to the gate and parked. With about 50 other cars parked along a country type lane in the middle of the field, we could see in the distance some gates and buildings but had no clue what they were. We could see people walking about and some out tailgate style of the cars, with fires and singing songs but all very calm and quietly, not a big Party scene so we settled in to our car to try and sleep after 2 Very Long Days of travel. 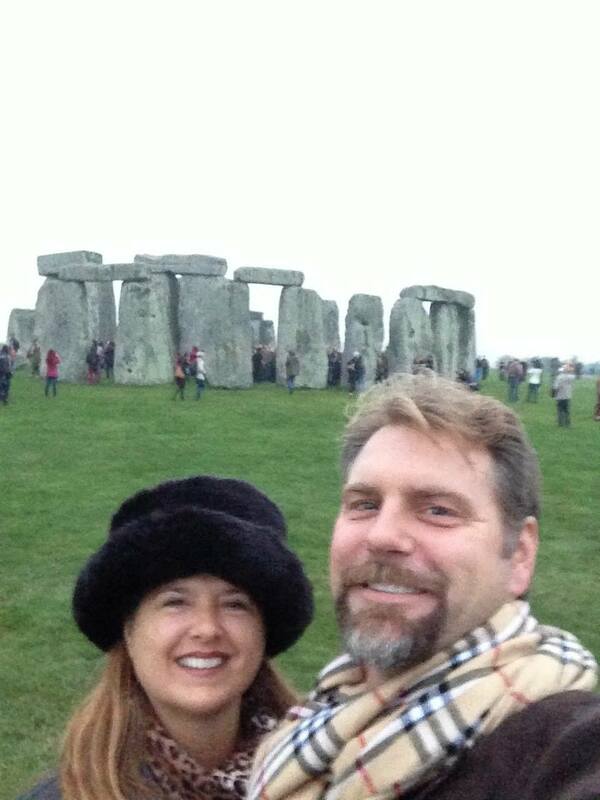 But we had Made it, Universe and Airlines be damned, we made it to Stonehenge for Fall Equinox as planned. At 6am everyone started stirring about and more cars started arriving. The guards wouldn’t let anyone in early, so be prepared as the restrooms are Inside the gates! And no services are open so no coffee either! 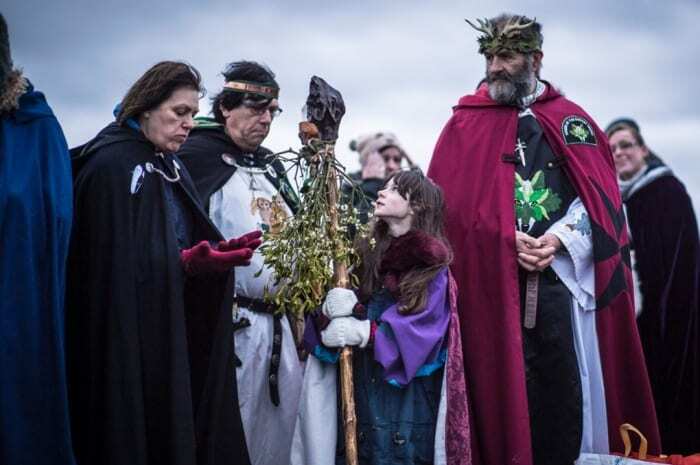 By the time they let us all in, there were about 150 people and many Druids dressed in style: top hats, Highland costumes, bagpipes, drums and more! We all marched in together to the beating of the drums and the wonderful bagpipes piping. What a surreal feeling. In a typical UK fashion, there was falling mist, it was still dark and rainy but no one seemed to mind, we just all bundled up and away we all went. Straight up to the stones. Amazing experience but no wonderful sunrise this morning unfortunately. No great photos of lights thru the stones that we had seen on the internet, but many fun times were had and we got to walk all around and touch and feel the stones.